Bell (contract dispute) wasn't present at the Steelers' facility Wednesday for their first practice of Week 9, Ian Rapoport of NFL Network reports. Bell (contract dispute) won't be traded before Tuesday's 4:00 PM ET trade deadline because he has yet to sign his franchise tender, Adam Schefter of ESPN reports. Analysis: In order for a trade to be possible, Bell must be under contract, but he has yet to report to the Steelers and put pen to paper on the tender. There's no telling when he'll arrive in Pittsburgh with the intent of finishing out the season, but James Conner will continue to serve as the team's lead running back until Bell shows up. Bell (contract dispute) didn't report to the Steelers for their team meeting Wednesday, officially ruling out any possibility of him making his season debut Sunday against the Browns, Ian Rapoport of NFL Network reports. Bell (contract dispute) won't report to the Steelers this week, Ian Rapoport of NFL Network reports. Bell (contract dispute) didn't report to the Steelers' facility Monday for the start of the team's preparations for its Week 8 matchup with the Browns, Ian Rapoport of NFL Network reports. 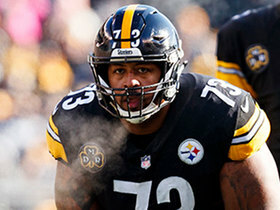 Bell has been in some contact with the Steelers, with the discussion centering on whether he will be paid during a potential two-week roster exemption period after he eventually reports, Jay Glazer relayed on the "Fox NFL Sunday" program. Analysis: That said, Bell hasn't specifically told the Steelers when he will report. The prevailing belief is that Bell will rejoin Pittsburgh this week, but that's not locked in, nor is it certain that he'll be active immediately after he reports. Team owner Art Rooney II said this week that he doesn't anticipate the Steelers will trade Bell (contract dispute) ahead of the Oct. 30 deadline, Ian Rapoport of NFL Network reports. "I expect him to be a member of the team going forward," Rooney said. "That's my expectation." Bell (contract dispute) isn't expected to report to the Steelers this week, Ed Bouchette of the Pittsburgh Post-Gazette reports. Bell (contract dispute) didn't report to the Steelers' facility Monday, Adam Schefter of ESPN reports. Analysis: Expected to end his holdout and rejoin the Steelers during the team's bye Week 7, Bell hasn't made an appearance in Pittsburgh just yet. Technically, he has until next Monday, Oct. 22 to report and sign the franchise tag, so the waiting game continues. Due to the impressive start to the season by his replacement James Conner, there's no telling what kind of workload Bell will take on in his first game back with the team, which could happen Sunday, Oct. 28 against the Browns. Though Bell plans to report to the Steelers during their Week 7 bye, team officials haven't been in communication with the running back, sources tell Adam Schefter of ESPN. 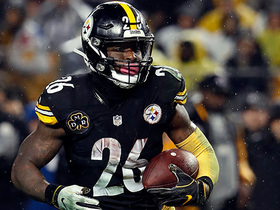 Though there have been reports that Bell is expected to report to the Steelers during the team's (Week 7) bye, Jason La Canfora of CBS Sports suggests that the franchise has yet to be informed of the running back's plans and is open to dealing Bell "at the right price." Analysis: Of course, there are obstacles (including cap implications) to considering such a move, but in any case, Bell remains away from the team, with no confirmed return date. As a result, James Conner will continue to head the Steelers' backfield in Week 5 and presumably Week 6, at a minimum. Bell (contract dispute) is expected to report to the Steelers during the team's Week 7 bye, Jeremy Fowler of ESPN.com reports. Analysis: Bell still must sign the franchise tag before suiting up this season, but at least there's a sign that he'll return in the near future. If he indeed reports to the Steelers' facility Week 7, his first chance to take the field will be Sunday, Oct. 28 against the Browns. While no deal is imminent, the Steelers' stance has shifted from "begrudgingly listening to offers for Bell" to "actively shopping him," Jay Glazer of Fox Sports said Sunday on the "Fox NFL Sunday" broadcast. Analysis: The big stumbling block for any possible deal is that the acquiring team wouldn't be able to reach out to Bell or his agent about a contract extension before making the trade. As such, any team interested in trading for Bell would have to view him as a one-season rental at the outset. Moreover, it's not a guarantee that Bell would even report to the new team immediately upon being acquired. While the Steelers are thought to be open to offers for Bell, "no trade talks have advanced to a serious stage at this time," ESPN's Adam Schefter reports. Analysis: Bell's absence has now lingered into Week 4 and there's still no clarity with regard to when he might sign his franchise tender with the Steelers. Each missed week is costing the running back a $853,000 game check. Meanwhile, James Conner will continue to serve as Pittsburgh's top running back. 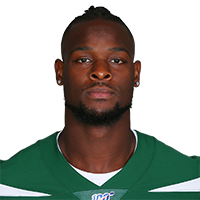 The Jets contacted the Steelers for a preliminary discussion regarding Bell's availability, Ralph Vacchiano of SportsNet New York reports. Analysis: The conversation reportedly hasn't gotten serious, which makes sense given the unusual circumstances. Bell's franchise tag means he can't be signed to an extension, making him a questionable fit for a Jets team without good odds to compete for a playoff spot. This at least does seem to confirm a recent report suggesting the Steelers are now willing to trade Bell. The 26-year-old can become an unrestricted free agent in the offseason as long as he reports to his team by Week 11. Ray Fittipaldo of the Pittsburgh Post-Gazette relays via a source that to date the Steelers haven't received any trade inquiries regarding Bell. The Steelers are now listening to trade offers for Bell (contract dispute), league sources informed Adam Schefter of ESPN. Bell (contract dispute) didn't report to the Steelers on Wednesday for the start of the team's Week 3 preparations, Jeremy Fowler of ESPN.com reports. Analysis: With Bell still listed on the Steelers' official site as a "Reserve/Franchise Player" in advance of Monday's game against the Buccaneers, there's still no timetable for his return to the team. While Bell remains sidelined, James Conner will continue to head the Pittsburgh backfield, with Stevan Ridley on hand to serve as his main backup. Bell (contract dispute) didn't report to the Steelers on Wednesday ahead of the team's first official practice of the week, Jeremy Fowler of ESPN.com reports. Analysis: Currently listed as a "Reserve/Franchise Player" on the team's official site but not included on the depth chart, Bell has yet to sign his franchise tender and appears in line to miss a second straight game Sunday against the Chiefs. Until he puts pen to paper and reports to Pittsburgh, the Steelers will continue to lean on James Conner as their lead running back. The Steelers don't list Bell (contract dispute) on their depth chart ahead of the team's Week 2 matchup with the Chiefs, Mark Kaboly of The Athletic reports. Though Bell has yet to sign his franchise tender as of Week 1, ESPN's Adam Schefter relays that "multiple sources around the league believe that (the running back) will join the Steelers sometime before the end of September." Analysis: That's a vague enough timetable to leave open the possibility that Bell could report as soon as this coming week, though such an outcome can't be counted on. The scenario presented by Schefter does at least suggest that that Bell's absence won't linger into worst-case territory. In the meantime, the running back is slated to be docked $853,000 for each game that he misses, with James Conner in line to handle the team's starting running back duties. With Bell having not reported to the Steelers' facility in time to join the team for their road trip to Cleveland where they play the Browns on Sunday, the running back will surrender his $853,000 Week 1 game check, NFL.com reports. Bell (contract dispute) did not travel with the Steelers and is expected to miss Sunday's game in Cleveland, Adam Schefter of ESPN reports. Analysis: Saturday's deadline for Bell to report has come without Bell showing up to the team's facilities. As a result, he will not travel with the team to Cleveland. His absence will reportedly cost him his Week 1 game check. James Conner is set to take on starting running back responsibilities as a result. The Steelers are prepared to play their season opener against the Browns on Sunday without Bell, Joe Rutter of the Pittsburgh Tribune-Review reports. Analysis: With Thursday's practice in the books, Bell's window to prepare for Week 1 action seems almost entirely closed. While his situation could play out in a variety of ways, the fact that he's not yet with the team opens the door for James Conner to draw the start at running back this weekend. As Ian Rapoport of NFL Network notes, a Saturday arrival on Bell's part would allow him to receive his Week 1 game check, but so far there's no word as to when the running back plans to re-join the team. Bell (contract dispute) could wait until Nov. 13 to sign his franchise tender and still accrue a full year of service time, which would allow him to hit free agency next March, Jeremy Fowler of ESPN.com reports. The Steelers currently have no plans to rescind the franchise tag that was placed on Bell, Ian Rapoport of NFL Network reports. Bell, who has yet to sign his franchise tender, isn't expected to play in the Steelers' season opener Sunday against the Browns "barring an unforeseen development," Jeremy Fowler of ESPN.com reports. 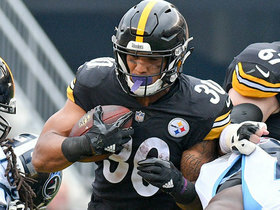 Analysis: The chances that James Conner starts at running back in Week 1 are increasing by the hour, and there have been hints via Bell's agent that his client's absence could extend beyond Week 1. While things could brighten on that front at any given time, the fact that Bell isn't yet back with the team at this stage of the week has diminished his chances of suiting up Sunday. Bell's agent, Adisa Bakari, hinted Wednesday that the running back might not sign his franchise tender in short order, Ray Fittipaldo of the Pittsburgh Post-Gazette reports. Bell (contract dispute) isn't at the Steelers' facility in advance of the team's 9 a.m. EDT meeting Wednesday, Aditi Kinkhabwala of NFL Network reports. Analysis: It appears Bell's absence from the team will drag into the third day of Week 1 preparations, with the running back's odds of suiting up in the season opener against the Browns diminishing with each additional day he fails to practice. James Conner has been working as the Steelers' No. 1 back throughout training camp and the preseason and profiles as the top option for fantasy purposes so long as Bell remains away from the team. Coach Mike Tomlin indicated Tuesday that he hasn't thought about a cutoff day that might determine Bell's Week 1 availability, ESPN's Jeremy Fowler reports. "When he gets here, that's when we will start quantifying all Le'Veon Bell-related things, his overall readiness, the amount of time we have between his arrival and the next competition, (ect. )," Tomlin noted. Coach Mike Tomlin indicated that he hasn't spoken with Bell this week, Gerry Dulac of the Pittsburgh Post-Gazette reports. 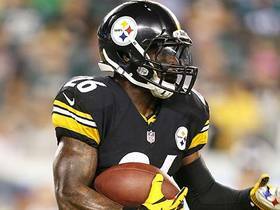 Analysis: Bell has not yet signed his franchise tender with the Steelers, which is less-than-optimal with regard to his Week 1 status, but if he does so by Wednesday, he can commence preparations for Sunday's season opener against the Browns. If Bell's absence lingers, James Conner would be in line for the start at running back for Pittsburgh this weekend. GM Kevin Colbert relayed that as of Monday morning, Bell "has not signed his franchise tender and rejoined his teammates," the Steelers' official site reports. Analysis: While this is a situation that could quickly change, for now the team is preparing for Sunday's opener versus the Browns with the players currently on hand. James Conner, rookie Jaylen Samuels and Steven Ridley are currently the Steelers' available backs, with Conner the favorite to draw the Week 1 start if Bell is not available. Bell (contract dispute) wasn't spotted at the Steelers' facility prior to the team's practice Monday, Aditi Kinkhabwala of NFL Network reports. Bell denied a recent report suggesting he informed teammates he would rejoin the Steelers next Monday, Jason Owens of Yahoo Sports reports. Bell has told teammates he will return to the Steelers on Monday, the Pittsburgh Post-Gazette notes. Offensive coordinator Randy Fichtner hinted Bell could jump right in with a full workload Week 1, Jeremy Fowler of ESPN.com reports. Bell's agent said Tuesday on SiriusXM NFL Radio that the running back is expected to skip training camp but report to the team before Week 1. 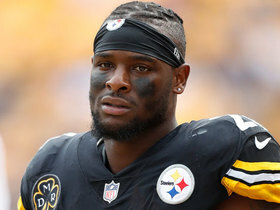 Bell was unable to reach a contract agreement with the Steelers before Monday's 4:00 PM ET deadline for franchise-tagged players, Ian Rapoport of NFL Network reports. Bell could elect to hold out of training camp if a new contract isn't done by July 16, according to Joe Rutter of The Pittsburgh Tribune-Review. Analysis: With just over one week until the extension deadline, Bell still has not signed his franchise tender, and appears poised for a second straight holdout. He and the Steelers should still be able to come to terms on a deal, with Bell seeking a long-term contract around $17 million per season compared to the $14.55 million tender currently on the table. 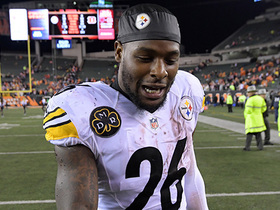 Bell said his contract negotiations with the Steelers are a lot closer than they were last year, NFL.com's Chris Wesseling reports. Bell does not plan to attend OTAs, ESPN.com's Jeremy Fowler reports. Steelers GM Kevin Colbert said the team has paused contract discussions with Bell to focus on free agency and the draft, Dale Lolley of DKPittsburghSports.com reports. Bell relayed Wednesday that he intends to play in 2018, be it under the Steelers' franchise tag or on a new long-term contract with the team, Jeremy Fowler of ESPN.com reports. Bell received the franchise tag prior to Tuesday's 4:00 p.m. EST deadline, Albert Breer of TheMMQB.com reports. Analysis: The Steelers were never going to let Bell test the open market and still haven't been able to work out a long-term agreement. The two sides presumably will continue negotiations, with Bell eventually expected to stage a lengthy holdout if he's forced to play under the franchise tag for a second straight year. The tag is worth approximately $14.5 million, but the Steelers likely would reduce Bell's 2018 cap figure if they were to hammer out a multi-year deal before the July 16 deadline. Bell and the Steelers have yet to make major progress on a contract extension, ESPN.com's Jeremy Fowler reports. 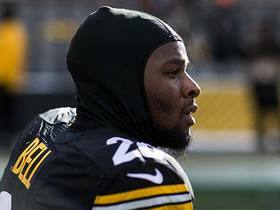 Steelers general manager Kevin Colbert said Thursday that the team prefers to ink Bell to a long-term contract extension this offseason rather than applying the franchise tag on the running back, Jeremy Fowler of ESPN.com reports. "We never will discount the use of the tag because that's collectively bargained," Colbert said Thursday. "But again, our goal is to have something done on a long-term basis. Bell and the Steelers have reportedly "made significant progress" on a possible contract extension, according to Jeremy Fowler of ESPN.com. "We are a lot closer than we were last year," Bell said Wednesday. Analysis: Fowler adds that the two sides have been talking about a new contract since the Steelers' season ended, with Bell indicating that they are in a "good spot" at this time. 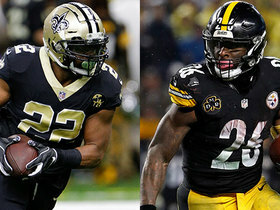 While a deal isn't imminent, Bell's tone suggests that this situation is much less likely to drag on than it did last year, when the star running back played under Pittsburgh's franchise tag, after he and the team failed to come to terms on a long-term extension. Bell said Sunday following the Steelers' 45-42 loss to the Jaguars in the divisional round of the AFC playoffs that he would like to return to Pittsburgh for the 2018 season, but acknowledged the possibility of playing elsewhere, Katherine Terrell of ESPN.com reports. "I never want to leave [Pittsburgh]," Bell said. "But obviously, circumstances and things like that. But I definitely don't." Bell ran for 67 yards and a touchdown on 16 carries, and caught nine passes on 13 targets for 88 yards and a touchdown in Sunday's 45-42 AFC divisional-round loss to Jacksonville. Bell suggested that he's prepared to sit out next season, or possibly even retire, if the Steelers use their franchise tag on him for the second straight year, ESPN.com reports. "I hope it doesn't come to that, but I would definitely consider it," Bell said Thursday. Bell was inactive (coach's decision) for Sunday's 28-24 win over the Browns, finishing the 2017 season with 1,291 yards and nine touchdowns on 321 carries. He also caught 85 passes (on 107 targets) for 655 yards and 2 touchdowns in 15 games. Bell (coach's decision) is inactive for Sunday's game against the Browns, Bob Labriola of the Steelers' official site reports. Analysis: With the Steelers expecting the Patriots to defeat the Jets on Sunday and secure home-field advantage throughout the AFC playoffs, Pittsburgh will use Week 17 to rest several key regulars. Bell's absence likely clears the way for Stevan Ridley to serve as the team's lead back, with Fitzgerald Toussaint working in a complementary role. Bell concludes his regular season with 1,946 total yards, a career-high 85 receptions and 11 touchdowns across 15 games. The Steelers will rest Bell and a number of key starters Sunday against the Browns, Ian Rapoport of NFL Network reports. Analysis: There have been rumblings Bell won't be out there Week 17, despite the rushing title and home-field advantage throughout the AFC playoffs on the line. His downturn in practice reps the past two days also indicate the Steelers are preparing his backups for the lead role in the regular-season finale. In the event Bell takes a seat this weekend, Stevan Ridley likely would be the primary beneificiary, but Fitzgerald Toussaint should get in the act as well. Bell (non-injury related) was listed as a limited participant in Thursday's practice. According to Tim Benz of TribLive.com, Steelers offensive tackle Marcus Gilbert suggested that Bell won't play Sunday against the Browns, though head coach Mike Tomlin has yet to confirm as much. "[Ben Roethlisberger isn't] there [Sunday] so [Cleveland will] get a little taste of Landry Jones," Gilbert noted. "We'll have Landry Jones in there. We won't have Ben. Or [Antonio Brown (lower leg)]. Or Le'Veon Bell." Bell rushed 14 times for 69 yards and a touchdown while adding five catches for 28 yards on eight targets in Monday's 34-6 win over Houston. Bell rushed 24 times for 117 yards and a touchdown and brought in five of six targets for 48 yards in Sunday's 27-24 loss to the Patriots. Analysis: Bell eclipsed the century mark in rushing yardage for the first time since Week 7, and he logged his third touchdown on the ground in the last two games when he went in from three yards out with 1:33 remaining in the third quarter. Factoring in Sunday's production, he's also recorded at least five catches in six consecutive contests. Bell could see a slight uptick in his already impressive workload against the Texans in Week 16 with Antonio Brown (calf) set to miss the contest. Bell rushed 13 times for 48 yards and two touchdowns while catching nine of 10 targets for 77 yards and another touchdown during Sunday's 39-38 victory over Baltimore. Bell rushed 18 times for 76 yards and caught five of six targets for 106 yards and a touchdown in Monday night's 23-20 win over the Bengals. Bell rushed 20 times for 95 yards and caught 12 of 14 targets for 88 yards during Sunday's 31-28 victory over Green Bay. Bell rushed 12 times for 46 yards and brought in nine of 11 targets for 57 yards in Thursday's 40-17 win over the Titans. Bell rushed 26 times for 80 yards and hauled in five of six targets for 32 yards in Sunday's 20-17 win over the Colts.